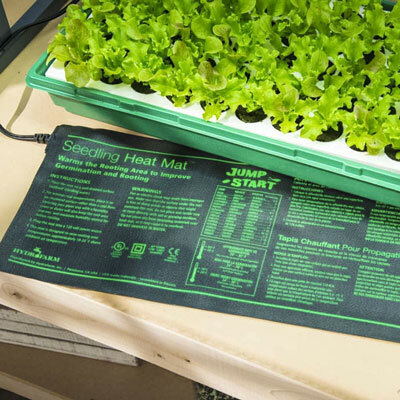 Seedling Heat Mat Starter | Henry Field's Seed & Nursery Co. Automatically warms roots to 10-20° above room temp. Speeds germination for faster transplants, improved success rate. Water and stain proof. Planting and lighting information included. UL listed. For great results, use this with Henry Fields's Seed Starting Kit. 10 in. L x 20 in. W.
For each offer ordered, get 1 Mat .